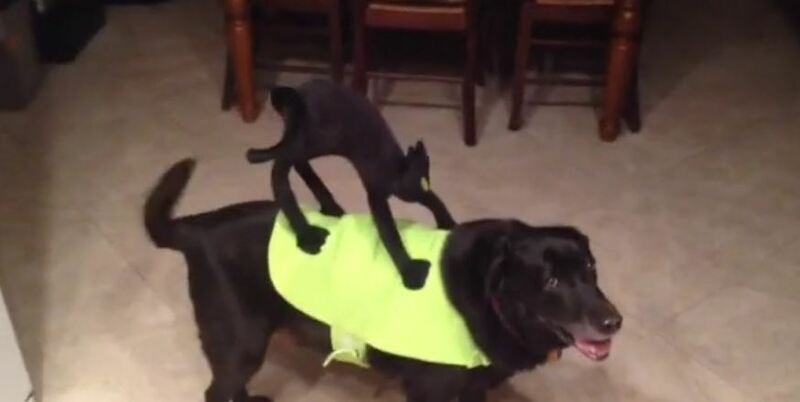 Is there no escape from this clinging black cat on the back of Brewser the Labrador? He was a very good sport while wearing one of many Halloween costumes, keeping his family entertained. Happy Halloween!